Your Property Success is an online step-by-step framework that helps homeowners and investors buy the right property at the right price. Visit for more. Have you ever been disappointed with a valuation on your property? Do you suspect the banks instruct valuers to get the lowest possible (fire sale) valuation? And what is the right way to get the best possible valuation for our property? 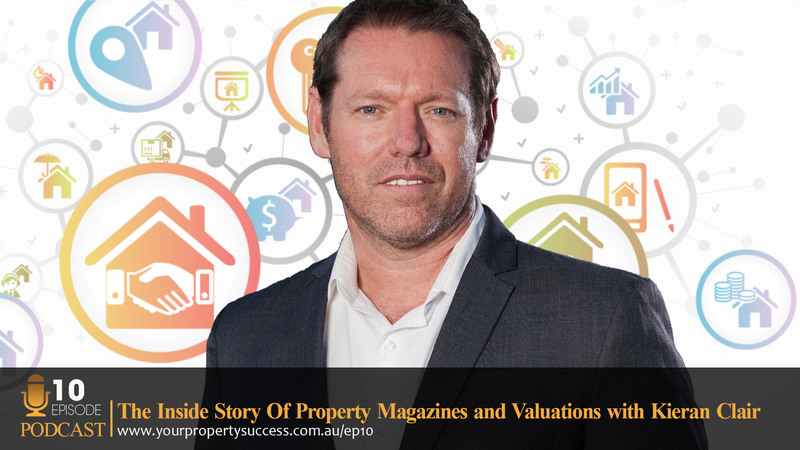 Today guest property journalist and former valuer Kieran Clair, will ‘tell all’ and also give us the inside scoop on the recent demise of Australian Property Investor Magazine. John Blackman: Did you know with just two investment properties and one single renovation that you could put over a million dollars in the bank? It’s true and why stop there? Welcome to Your Property Success Podcast, the show that explores the practical steps to making your property investment dreams a reality. And now, here’s your host, a lady who used to think people with white roller skates and red wheels were rich, Jane Slack-Smith. Jane Slack-Smith: It’s true. As a child, you never know how they’re going to determine to how rich is and for me that was it. John Hubbard: Do you still think it? Jane: Oh, I have to say, I do have a soft spot for white roller skates with red wheels. So, who do we have coming up today? John: Ah, Keiran Claire, editor of API Magazine, valuer and an all-around good guy. Jane: All–around good guy. And unfortunately, ex-editor of API Magazine. John: Yeah, you hear all about that. Jane: A bit sad about that. But look, I’ve been following Keiran’s writing for years as he was a valuer with Herron Todd White and write their newsletter for many years, and obviously, as write and editor of API Magazine, just a great guy to have a chat with. He’s quite of one of those people you just want to sit down, grab a coffee and just talk and vomit real estate all over the table. It’s fabulous. So, a great episode coming with our special guest, Keiran Claire. Keiran Claire: Hi Jane. How are you? Jane: I am wonderful and yourself? Keiran: I’m doing very well, very relaxed. Jane: Well, you know, you have had an interesting journey in property and I know our listeners are going to learn a lot of things but what are the things that most probably know you about? Now, your recent history in API Magazine as editor but you were a valuer for so many years and I’m really interested in getting a bit of a background information on values, but how did you get into valuing properties? Keiran: Well, believe it or not, it may be just a thing for people with children. I almost got into teaching and I was that close to becoming a teacher and then – this was in the heady days in the ‘80s, I graduated in 1986 from my school. And my dad who has always been in finance and property had said to me, “Look, before you make your final decision, why don’t you spend the day with a friend of mine who has recently hang a shingle as a valuer who operates out of his house?” And I said, “Great.” Now, ___ [00:02:38] with this gentleman, Frank, and Frank took me for a drive for the day which involved going down to the Gold Coast, having a cup of tea on someone’s porch, going to a posh hills ___ [00:02:47] and having a chat with a bloke, driving past a few houses. He came home, did some forms. His wife typed them up on an impact [00:02:58] typewriter, that’s how long that was and he built out a thousand dollars of ___ [00:03:03] accounting. It was wonderful, just the thing for me. And so, I put my hand up and dove into it. Of course, it’s not at all as simple as that, but that’s probably the first thing that got me into it and I guess when you think about valuation and if you’re a property professional, the thing I’ve enjoyed most is, it is a process whereby you get to go into somebody’s home and for 20 minutes sort of become part of that place, the feel of the place because think I have a bit of a romance for property. I like to go in and – there are they are the hard numbers ___ [00:03:40] but you sort of get to have contact with people and the way they live and I got to do that several times a day and I found that immensely enjoyable. I also like the education. I like talking to people and discussing what we did as valuers and how that process played out and why it’s so important that job gets done properly. That’s basically it for a good 28 years. Keiran: No. It’s far more complexed than that. Upon graduating school, get accepted in for a bachelors of business degree, so it’s a 3-year degree with a major in real property valuation and administration. Back into the heady days, when I did it, we used to learn everything, so I did it at Queensland Agricultural College. I had to learn about horse husbandry as part of my valuation course if you can believe it. I can still remember how to address saline soil out in the west, not that I’ve ever have to of course Jane. Jane: Just in case, it’s always a skill to have. Keiran: Yes, if someone ___ [00:04:50] salt shaker, I know how to take care of it. And after doing the 3-year degree, it was 2 years as a cadet on a wage that would put most people out of their houses. We really did terrible things but after that 2 years, you then have to sit for a registration board meeting with people with ___ [00:05:15] reports and also there’s the professional body – The Australian Property Institute, which you have to pass all before you’re allowed to start valuing houses. It’s a good minimum of 5 years to 6-year process if you take that path. They try to expedite it a little bit more now because of course there’s good demand for valuers and of course the skills are more specialised. You don’t have to learn about horse husbandry anymore, you can just learn about houses in the city. That’s making things a little easier. Jane: And I think the thing is, all of people, especially if when they get a low valuation, they sit back, “What would they know, they know nothing,” they just turn up for 5 minutes and walk out the door. And I’ve tried to keep saying “Well no, there’s actually an education process and there’s always someone overlooking the reports,” isn’t there? Jane: So, that leads me to, I guess, one of the things a lot of our listeners are interested in is that how you can assist the valuer in maybe returning the valuation that we want from the valuer? Keiran: Well, I guess what the valuers would say, what I would say, because I guess I’m still a valuer, I’m still registered, what a valuer could say is we would like homeowners or property owners to do a lot of research, be as realistic as possible about their property value. What I would say to you and not many valuers would probably – oh well, maybe they would conceive this – what I would say for you is that property value, landing on the dollar every time is just not possible. I mean, you get 10 people in the room, they’re all going to be thereabouts when the property value comes in. You really end up working on little bit in ranges. Now, in a standard suburban house, a 5 to 6% variation of the middle figure is probably an acceptable range if you were within the 10% of the top and bottom value, then you would say that’s not a bad deal because markets do have a motion in them. So, I think it’s important to recognise there is a variation. However, to answer your question, getting the value that you want involves you getting an education as well, looking at the comparable sales. Now, the best thing you can do is to look at the sales, come to a reasonable opinion of value yourself, and then present the valuer with the idea that “I think it’s worth this because I have the 3, 4, 5, 6 sales that I think are on worth are similar and this arms you knowledge and science when you have the discussion. Because the number of times I’ve heard the “Can’t defense” – have you heard of that one? Keiran: When you walk into a house and someone says, “It’s worth 600” and you say, “It’s worth 500” they go, “Can’t…can’t…it’s not.” That’s not a very effective argument for a valuer. Jane: No, no. And I guess that kind of tip about being aware of your comparables, when you’re preparing the valuation for the bank, as a mortgage broker, I know that you’ve got to have at least about 3 within a certain period of time before the bank feels comfortable that this is a typical type of property. A lot of people I don’t think realise the importance of the comparables before the work that’s done by the valuer before they even walk in to just to verify what’s happening in the property. Keiran: That’s right. And of course, as you quite rightly pointed out, you got to have those 3 sales. There usually has to be one that’s better, one that worse, and one that’s similar. The valuer would have gone through multiple sales to reach those next three and if they don’t, put those in reports now, the system is in place where the report could be bounced back to them and that could ___ [00:09:57] go and do better or explain why. And you’ve probably had that experience with your clients where reports could be delayed because the valuer is trying to find fouls and other evidence that comply with the criteria to make that valuation acceptable to the lender. And it’s not always easy, it’s not always to find which is another reason to have those sales on hand if you are talking to your valuer. Jane: And even having recent sales may not have settled but I find giving the valuer the details of, “This is a recent sale and this is the date and this is the price and here’s the name of the real estate agent you can verify it through” kind of helps too sometimes especially in a fast moving market. Keiran: It absolutely does and I think that there’s a little difficulty with those now in that some of the financiers and the process and I’m thinking of the Valex process here ___ [00:10:53] wouldn’t you? Where Valex ___ [00:10:54] accepts those as a sale, I think they have to be in addition to complete it, finalise out. However, they are excellent sales to have because they are very current, they can be proved independently with an agent particularly if you can be lucky enough to supply the contract. You have the best sales or the ones that you value yourself with a new contract. Keiran: Absolutely no doubt about it. Jane: Do you want to take us through the Valex? I mean, Valex has been something Keiran that has come about, and you know one of these technology things that we see prop up. Do you want to explain that backend to people who aren’t aware of what’s been happening? Keiran: Yes, certainly. They aren’t been doing that for a couple of years and these things move fast but certainly the progress was one where Valex was what was called an aggregator that became entity that set between the bank and the valuer. And so, in the olden days, the banks used to have a panel of valuer they could choose from and the bank manager would directly instruct any valuer on that panel, and they would have a direct communication about all the information needed to complete the valuation. Of course, post GFC in particular, we were looking for ways to try and insulate that licenseship or I should say the industry start to look at ways to insulate that relationship. I’m sure PI insurers were very keen to make sure that everything was always going to be above board. So, Valex has created — Valex as an aggregator, what happens is the bank will send the instructions to Valex and Valex will have a panel of valuers they can send it to and they can send it randomly to any of those valuers to do the job. The valuer completes the valuation and uploads it to Valex and there’s an assessor sits in Valex who decides whether the valuation is acceptable or not. Now, they’re going to look at the calibre of the sale, they even look at things – you can get a valuation bounced back if you said that it was gas that you didn’t say whether it was bottled gas or piped gas. They would send it back to you and say it’s not good enough, give us the answer. So, there was a lot of scrutiny in the vauations now and only those that met the all the criteria in Valex would be passed back on. Jane: Moved onto greener pastures. You did mention the instructions from the bank. Now, is it a myth or is it reality, Keiran I put to you that banks instruct for 5 sales when they send the valuers out to do valuations. Jane: Good. That’s busted. We can move on. Keiran: That was easy, next question. Now look, there is a case where the bank will say, “You must assume a 4-6 sale period on the local market through a normal marketing program. They want to know the figure. This is the other thing that sometimes is confusing for people, they want to know the figure. If you walked out today, the day of inspection, the house was as is, as it went to a local agent for a stated 4-6 month marketing program, what could we achieve with the sale? Now, I’ve walked into houses where they’ve been renovating the kitchen in the bathroom and someone has said, “Look, ignore the bench tops not being there. Sorry, the tapware is not in place.” Obviously, it will be there at some stage. Let’s just move on.” But of course, the banks don’t let us do that. The banks say, “Okay, you have to take that into account as part of your valuation. Is that going to be an issue for some buyers? To some it won’t, to some it will. And so, that sort of condition is accounted for. You don’t get the opportunity to give a quick a house a quick coat of paint and to do spray clean the outside lawns or whatever is needed presale, you’re looking at the house as is where is on the day and what they couldn’t achieve. Jane: It’s interesting. I’ve had a client purchase a property the week before Christmas and know finance, a buyer’s agent was just high-fived by all the real estate agents in the area going, “Well, you’ve really got a bargain. This is great.” And the client had been looking in this area for a long period of time, and we got back after Christmas and the valuation came in $100,000 below. And we’re just beside ourselves going “This is insane.” There’s no finance close, it’s all up, and I went back to the buyer’s agent going “Give me some comparables” and she argued, well, there’s subdivision potential. Hence, there’s that opportunity there as well as all these other things in that recent sales in the area. So, a lot of people – I’ve got two questions here, but this subdivision potential, It kind of goes back to no bench tops, but in the future, you have to value it as is today without that, don’t you? Keiran: Yes you do. But this is another commercial reality that is starting to hit the valuers. You get negotiated very hard on scenes. The volume of jobs you do for banks would require you to get a reasonable fee but you have to do a lot of work to make your profit margin. In any event, the financier could have a standard course that says, “Look, you have to value this property in a single holding without development potential.” Because then that falls within the $180 fee that we have negotiated at standard residential houses, etc. But since complexities weighted to [00:17:08], a valuer is more than happy to do that. They can value subdivision potential, they can value potential for unit construction, any of those sorts of things. But the bank has to firstly instruct it that way, and secondly, has to pay a reasonable fee to get it done. Now, that’s sometimes a bit of a difficulty for a valuer ____ [00:17:27] Well, this is a half-day job and we should be charging $500 for it and then the financier will say, “Well ___ [00:17:34] $200 valuation value with a single holding, so I imagine that, that is something that can happen. So, if you’ve got something that’s subdivision potential, got something that is something a bit different, it may pay to instruct your bank to tell the valuer that and to pay accordingly. Probably $300 they spent right there. Jane: Absolutely, compared to $100,000 dollars less. Well, in this instance I looked at the comparable sales and they really did bear the fact that it should’ve been a higher price regardless of subdivision potential. But I had to tell the client that within 10 years of being a mortgage broker, I’ve only three times had a valuation overturned. And because of that amount of work we just discussed that goes in beforehand and one was they missed an entire bedroom when compared against three bedroom houses and it was a four bedroom house. It was obvious oversight, but in actual fact, the valuer came back and did move up around about $85,000 in this instance. But it’s one of the really –those comparable sales and being able to present those really was the, I guess, clincher that allowed that to happen. Keiran: Yeah, yeah. And look, you’ve hit on something there, I wouldn’t be so bold as to say valuers are infallible in all situations, but certainly, they have all the tools at their disposal and they have the independence that should give you confidence in their ability to assess value, as well as you know what criteria they valuing under and who they’re doing it for. All of those things need to be known. I mean, obviously, I get quite worked up we were a keyboard warrior or someone ___ [00:19:14] “None of them know what they are talking about, they’re always wrong” without knowing the circumstances around what they’ve been asked to do and how they’ve been asked to do it. I I’m obviously chanting [00:19:28] them on one myself but I think that their money are very well spent if you aren’t confident in what your property value are. Jane: Yup absolutely. Well, one of the things Keiran about you, I’ve been a follower of yours for a long period time before Australian Property Investor Magazine because I loved the fact that you were writing the Herron Todd White newsletters for many many years and your style of writing I really enjoyed, but they had the ability of having thousands valuers out there every day and I loved that kind of, I guess, the collation of the information that you had and you presented it in the newsletter. but the thing that I really enjoyed was that challenge you put out to them at the beginning of every year about where are suburbs going to perform this year and then holding them accountable in previous years afterwards and saying “Okay, so what did happen?” So, I’m really interested from that kind of collection of the big picture of being able to talk to valuers in that network across Australia. What did you find that that made good suburbs that led these predictions to come to fulfilment over the year of the best suburbs out there? Keiran: It became an exercise and thanks too. I’m feeling contact ___ [00:20:52] have a lot of friends there. I will pass on your thanks too. Keiran: I’ll pass on their thanks for you for that because it was a document – the monthly reviews is a document that was immensely proud of when I was involved there. The fundamentals really became – it was no great no great mystery. The fundamentals were always important. If you were close to high population centres and capital cities that you were within a commutable distance of the CBD or major employment hubs, if you found yourself with good transport options and if you could buy a second hand property preferably a detached house on a decent-sized block of land, you are tending to be in the most forgiving sector of the property markets in Australia. There were few cases where if you met both criteria, that you didn’t feel a bit of better 7 years down the track about what you paid, and I think that you know if I’ve learned anything that, it’s that messing with the fundamentals is fine and there is potential to do well, but don’t be surprised that the risks also increase once you’ve stepped outside those comfort zones of property. I think that in all the valuers around the country in HTW in February, we’d take a very considered approach, they often went to tried and true market sectors particularly as I thought the markets had potential to soften over the course of the 12 months. And certainly, I would think far more often that not, their success rate of predicting how the markets would go was pretty good. They weren’t analysing things down to percentage rate in terms of population crisis or if they were weren’t doing sort of a really high end analysis of that sort of data, it was more that they had so many ideas on the ground every day talking to agents doing the analysis that when they sat around the border and said what we expect this year, it was someone who to sit there and say detached houses in Kapara are looking pretty good and pretty affordable at the moment in comparison to Mitchelton and you can ___ [00:23:06] for a very reasonable price in 12 months’ time I see that as being good. That’s a lot of data is right at the fingertips that we were able to distil into that document. Jane: And it’s interesting you mentioned that because do valuers specialise in specific suburbs? Keiran: Absolutely, particularly in the big firms. Now, I only ever worked for Herrod Todd White but I’m sure many of the major firms have headed in this direction. When I left HTW, I think I was covering something in the order of about 12 suburbs in the south western area of Brisbane, and of course, what would happen over the course of 4 months of doing that is you had fully inspected almost half the south ___ [00:23:50] you ended up using and we’re talking about – a slow day would be 4 or 5 valuation and a hard day would be 12. If you can extrapolate that, you got into a lot of property. Jane: And I think that’s one of those other myths that’s out there that is the, the valuer just turns ends up to the job and is not aware of what’s going on, and in actual fact, they probably know the real estate agent and every other agent that sold in the street and valued most of those properties as well at some stage. Keith: Yeah, look they probably had. And I think the nature, as we said, the nature of the industry now is to do higher volume, turn it around faster, meet the criteria. And that lends itself to being a specialist in a small patch, so that you don’t make mistakes and that’s just the way that the industry is surviving now I think. Jane: And I guess what a lot of us don’t see as well is that valuers aren’t just doing the sales, they’re doing, I don’t know, what is the percentage of refinancers that the banks are instructing valuers to do because there are so many more properties that are being inspected in a suburb than just the sales. Keiran: Yes, you’re absolutely right. Now, I would think probably for a guy, if you imagine a 5-day week for a day’s worth of possibly sale valuations you were doing, you’re probably doing 4 days of refinance valuations if I can express it in that sense. And sometimes a sale valuation would come with refinance valuation ___ [00:25:15] because they already had another investment property. Jane: Absolutely. Now, I’m interested in this most forgiving sector that you mentioned, which is the house close to transport, commutable to the CBD, big block a second sale which is interesting, not the first sale, so not brand new properties, but you mentioned also that there’s probably risks associated in going outside that sector. What are the sectors that you’ve seen in your career that have come up and the risks associated with them? Keiran: Well look, if you’re stepping away from those sorts of things, I think that you carry a risk when you go into plenty [00:25:55] new products that’s maybe in areas where there’s a high amount of land supply. Now, I’m certainly not saying to steer away from those. There are plenty of successful locations speaking in terms of where I am in Brisbane, and you could probably have known this, you in Melbourne there Jane. But if you were thinking of some of those masterplan [00:26:12] community like North Lakes or to Springfield around Brisbane where they’ve set up the infrastructure and made them work, I think people have done okay out of new property in that sense. However, the people who buy into the initial stages of those projects are taking a little more gamble. They are taking a little risk, “Okay, is this going to work?” “Will the commercial hub be set up here?” “Will these things that are promised, are they going to eventuate?” And of course, if they don’t you may have bought into a dream that turned into a nightmare in that situation. So, I think being careful with new product is a good thing. Also, being caring careful with new types of housing within those sectors within the ___ [00:27:01] location is something that you have to be careful about. I know that when I saw units going up in one of the major estates that was halfway between here at Ipswich, I was wandering through that as I’m looking at the pricing thinking, “No one’s going to buy these? Why would a local pay this money where they can have a block of land that’s all theirs, ___ [00:27:18] with a bigger house on it about the same coin.” And of course, some of those units ended up being sold to investors down south ____ [00:27:31] much money. Jane: They were still trying to rent them today. Keiran: Yeah, they are still. I know, they’re still trying to rent them today. Keiran: We’re trying our best. Jane: They do say the weather’s great. I think we get clouded by the weather when we look at property up there sometimes. Keiran: Well, look, ___ [00:27:56] because we’ve actually had some really good market runs sometimes, I’ll use the term marketeers. Sometimes we’ve been saved by our property booms, 2003 and 2007 were good years. Those were good years up in Queensland and I have had those situations where I valued something in 2005 and sort of warned the bank, this is paying a little bit too much, and then you come back and revalue in 2008 and the owner must be air punching. They’re going, “Oh, look we’ve made $50,000.” But of course, what that southern owner who has never been to the property doesn’t realise is if they’ve spent the same money on a detached second hand house, they’d have $150,000. IT all looks good until you actually run those numbers properly. Keiran: Jane, you remind me one of the most frightening ones ___ [00:29:11] a small house and land package which was out in the ___ [00:29:19] southern area of Brisbane with having a very small that seemed a long way from nowhere and when I had a look through the contract in the commission section, they were charging $30,000 for television advertising for this one house. Keiran: For the house and land package, they were charging $30,000 for advertising. That’s just wrong. It’s terribly wrong. Why is that going on and it does ___ string [00:29:41] no good. Jane: No, absolutely. Well look, coming back to the suburbs and looking at the information that you’ve been able to collate from all these value as well when you were with Herrod Todd White, there’s obviously – to us, there’s these pockets of potential within suburbs that do more than what a suburb does. What are the key characteristics of those sweet spots that come up? Keiran: Look, I always think that if you’re within a 5-minute walk with your local neighbourhood hub, that’s always going to be a winner. So, if you want to have some really pleasant market analysis one Saturday morning, I’d suggest you go down grab a coffee and then take the dog for a walk for 5-minutes and see how far you get. Staying within that 5-minute radius is always going to be a bit of a winner, always shift for a decent-sized block of land wherever possible. I think wherever you see a bit of elevation and some views, you’re going pick up more potential than you would in those lower areas, and avoiding those really secondary locations, main roads. We used to say at the valuation game, you get one chance every 7 years to sell a main road property. It’s usually when the market’s running hot. So, avoiding the main roads and the railway is often a very important thing. So, I think if you take – I know it’s sort of a broad criteria but if you found a suburb you really love that you think has got great potential, I think that you’re absolutely right you should shouldn’t just say, “Okay, buy anything.” You got to sit there and think about what are the attributes of this suburb that appeal, how can I be a part of that, and sure I’m cutting with some median. Jane: Yeah, that’s always good news. Keiran: I know it’s one of your favourites. Jane: I know, negoatiate, negotiate. Well, I mean just talk about those suburbs that do take off. We see suburbs takeoff, some of them have sustained growth and some don’t. What are the characteristics of a suburb as a total that has that sustained growth rather than maybe what we’ve seen in the mining boom for instance? Keiran: Look, I think it’s sticking close to those fundamentals again that really sustained long term growth tends to be in the blue chip suburbs and I’m not talking about all those prestige suburbs. I’m talking about those suburbs that are a reasonable commuting distance from say the date. To pick a really great example, if you look at Paddington up in Brisbane here, I know Brisbane is eccentric but I know this market intimately and I apologise for that, but if you look at an area like Paddington is in Brisbane here, it’s five 5 kilometres from the GPI. It’s older stock housing. It has good demand from tenants. It has a great place for owner occupiers, good facilities, all of those things have tended to and there’s not much that’s going to change about that sort of suburb. If you’re buying into that suburb, you can be reasonably confident that the property values aren’t going to retract in any great way ____ [00:32:47] and realistically, that’s safe in real estate investing. Buying and holding on for the long term in great locations is always going to, I think, be a preference to try and pick the hotspot and ride the market hard. Those fast-moving areas like the mining boom, whether it’s driven by infrastructure or a one-off increase in employment in an area that makes it suddenly come into the world of high demand, as you know, ___ [00:33:20] can be taken away fairly quickly and that’s where they will tend to get into a bit of strife I think. Jane: Well, that brings me to the, I guess, the cycles that we’ve seen in the property market. You’ve been in the property market and commentated it and being part of it for so many years. We can’t see that cycle doing that Sydney, Melbourne and Brisbane kind of cycle and then gosh knows what happens to all the other states. Is that going to be what we get to see in the future? Is it cycles are getting smaller or if you’ve got some thoughts on what happens to the property cycle? Keiran: Yeah, I actually – I’m wondering if it’s not extending out a little bit. It wasn’t so long ago that we were saying that every 7 years there was a doubling in property prices. I received a fairly quick education on that as soon as I joined the magazine and started looking more nationally at markets and looking at historical numbers in that sense. Because what seems to be happening of late is that markets tend to have a good couple of years and then track reasonably conservatively until something causes them to have a good couple of years again. And I would think that at the average 5 or 6% growth rate, which is probably fair enough amongst big capital city markets, you’re looking more than 12 years doubling of property prices. And I know we talk about the affordability, we talk about all those ___ [00:34:46] and we’re probably talking about those 10 years ago, but it certainly seems to me that, that sort of monumental increase in value is stretching out just a little bit further at the moment. Jane, have you had these conversations with people who were around in the ‘80s and ‘90s about the 88% [00:35:09] interest rate? Jane: Yeah. I think everyone brings that up at least every one out of three people. Jane: Back in my day. Keiran: ___ [00:35:21] They certainly sparked a bit of fear around how high interest rates can get, but you know what, I would like to believe that we have got a bit of a handle on that. And you know there’s a certain president that has just taken over in the U.S. that might have some impact on most ___ [00:35:40]. We’ll see how it plays out, but factoring in that we have got these very low interest rates and there have got room to move up, I guess people need to be a bit cautious about how market cycles are running and how long they are likely to be sustained on a fairly conservative rate as far as capital grows over the coming decades. Jane: So, change a head maybe. Keiran: It could be, it could be. But you know, I still have terrific faith in the Australian property market as long as you buy with those fundamentals we were talking about, as long as you buy smart. I still think it’s an asset class that has seen far more winners than losers. Jane: So, as a valuer and hats off to your dad saving you from the teaching career and showing you that valuers go and check out Porsche’s every now and then, what about your journey? Did you get to pick up some bargains or invest along the way? Keiran: You know, the smartest investment I made was asking my wife to marry me. Jane: Ah, now there’s a quote that we’re going to put down so you can send that straight to your wife and be forgiven for every anniversary you forget going forward. Keiran: Look, I can’t thank her enough. I did come from a proper background. My dad was in finance and real estate, but more than 20 years in the profession, I suppose a good 12 to 15 years in the profession, I still hadn’t bought a property in my 30s. And I’ve ridden through that era of the naughties where nothing much happened and my father tapped me on the shoulder and sort of said, “Why don’t you buy an investment?” And I said, “Why did I make? Did I make any money? I’m valuing ___ [00:37:21] since 1993, what am I doing? 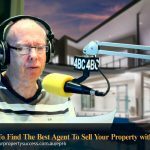 And then my wife who also comes from a property family, her father’s ___ [00:37:31] fourth generation in a 75-year-old local real estate agency working in Brisbane, she had the wherewithal in her 20s to start investing in property. And when we finally – she actually became a valuer later on, that’s whole different story, but when I met her, she had a couple of properties under way and I think she was a little aghast that I got to this late stage in my 30s – this late stage in my 30s without actually having bought any property. Within 3 years of meeting her, I bought my first property which is a really great unit in ____ [00:38:06] for the princely sum of $140,000. It’s never been ___ [00:38:14] It’s probably worth $380,000 now and it was all down to her saying, “Look, you talk about this all the time. Take the step. Let’s get you somewhere that’s conservative for your first investment. So, I’ve always been immensely proud that we’ve held onto that sort of investment and we built portfolios together now which is entirely buy and hold. It almost pains us to think about having to sell a property because we understand the potential of it over the long term side. Jane: Absolutely. And I guess as valuers, you’ve seen what the market can do. You’re following your own advice I gather and your strategies in where you’re buying? Keiran: That’s right. And also, once again, you must have had those conversations with people where they say, “You know, I could’ve bought that for $200,000 back in ’75 and now it’s worth 20 million. Those conversations happen all the time where people will say the one regret didn’t start ___ [00:39:10] didn’t start early enough and ___ [00:39:11] and it’s usually a reason to regret. Jane: Absolutely. I always hear that selling is one of the greatest regrets people have when they go back and check out the current value of a property they’ve sold. Keiran: That’s right, that’s exactly it. You do a buy and hold estate for the long term and you’ll thank yourself. It just seems to be how it works and I think will do it for so many years to come. Jane: And then with your buy and hold strategy, are you renovating as well? Are you subdividing? Granny flatting? – being you added some twists in there? Keiran: Yeah, I know. Out of your strategy there but I agree with you. I think the ability to come in and just putting a little bit of, I call it sweat equity, just a little bit of work to help raise the rate or raise the property value puts you in a good stand. And it might just be a quote of pain and some ___ [00:41:32] but of course, there is a percentage of the market who walks into those properties who can’t see past the dust and grime. They can’t see the potential, and if you can and you know easy you really can be a winner straight up. Know the buy-ins of the property, look for good buy-ins, it’s always the tip. Look for buy-ins. Jane: And to me this new build that you’re doing, is this a whole new build or you’re actually going to be doing some development on the back of the property? Keiran: No, no. This is ___ [00:42:01] built the property portfolio up to a position where we’re able to now look very seriously ___ [00:42:09] two young children ___ [00:42:12] build their memories in. The home that we live in currently we did and this was built on a site of the first purchase my wife made in her 20s. So, we had it for that long and then when the kids came along, we just said, “This is the time” and of course as good planning and good luck come together we’re a great school district. We’ve seen gentrification in this suburb and we’ve probably seen some really great capital growth here in the last few years and it came down to her buying something affordable with those good fundamentals in place and hanging on for the long term. Jane: Are you going to reveal that so that suburb to us? Keiran: Yeah, sure. We’re very good at property here. There’s no rush [00:43:00], come on over. We’re in Tarragindi. We’re sort of sought of Salisbury and Tarragindi. You know, we’ve ___ [00:43:10] this is something that’s always a bit interesting for us property ___ [00:43:14] We fly under the radar a little bit because our post code is shared with Dutton Park – I’m sorry, with Holland Park I should say. Keiran: No, that’s right. But what actually happens is a lot of times when the statisticians start running the numbers in the property game, they are attribute a lot of what’s happening to Holland Park and we have an adjacent suburb Tarragindi which doesn’t ting on the radar as they say, but happened to be in a great school ___ [00:43:44] in a really desirable position in the suburb that not many people heard about. It’s kind of being discovered a little bit, and here I am telling you and the tens of thousands of people that are going to hear this. Jane: Yup. Your Property Success Podcast listeners will be happy forever now. They’ll be watching this space. Keiran: Well, look, have a look around for that sort of thing. ___ [00:44:04] suburbs that share post codes might offer some potential for you as an investor. So, just because you haven’t heard of it, don’t rule it out. Jane: Yeah, absolutely. And any plans to buy in the future? Are you done for good? Jane: Never say never, right? Keiran: No, just to say, we are one of those couples who go, “Okay, we’re done now” and then we find a great investment and we suddenly start thinking about how the numbers will work and if we can be part of it. Look, I think that our future as people who have built up a good portfolio and has good access to information in this industry, our future will definitely be one of small development, nothing too complex. I mean, I would love to do a construction at some stage but we’ve made good profit ___ [00:44:52] And they can bought reasonably, economically as long as you do your numbers. Do your numbers. Everybody, do your numbers. As long as you’re not overgreedy, you can make a reasonable profit out of those. So, I think there’ll be a few of those and I can see us doing some renovating down the track as well. You know what my dream project would be now Jane? Keith: I would love – and this is all heart no head, I’d love to convert a warehouse. Keith: That would be magnificent. Jane: That blank slate kind of industrial urban look? Jane: Yeah, I’m with you. Keith: I want a home I can drive my car into my entry. Jane: Keiran, we need to talk. I designed this when I was 10 years old. It was a warehouse where you had a remote control opening that you drove your car into the basketball court that was downstairs because you have that really nice concrete surface basketball court going on and then you could go up stairs which was an open plan looking down, so we should check. Keith: I think we should. I can see Slack-Smith and Claire, Design of the Future. Jane: Warehouses. You heard it here first. Jane: No, no. I’m happy to be in the background. Now, I just want to move onto your change to Korea and still in property, right? And still in writing because obviously you had a lot to do with that newsletter but into Australian Property Investor Magazine and becoming a journalist. You said that there had been some changes in the industry with Valex, etc., and you lost a little bit of that heart but you still had the heart to stay in property and did journalism allow you to do that? Keiran: Look, it really did. I found ___ [00:46:37] I like having the conversation and telling the stories and I loved, once again, a teacher, I really love the idea of educating people generally about the industry and property. So, I did find myself — the reason I was involved was with the monthly review in my lap was that I could see the great potential for talking to the general public and the great information we had, but the communication skills of your average valuer are probably – as in most professions are probably not you fantastic. I mean, they tend to be numbers, girls and guys, and into analysis and getting on with it, whereas I sort of felt like we had a lot to say and not too many people saying it. So, that’s why I got into monthly review. And then I found I really enjoyed it. I just loved writing. It was a great creative outlet. So, I did some post-grad studying journalism and then about 4 years ago, a good friend who in the media, one of them actually works for API originally, so I knew the magazine well. And that’s four years ago, then editor Amos Brody put a posting up for a 12-month contract and I’ve been getting worn down by the valuation profession a little and I said to my wife, “Ah, API magazine looking for a journalist for 12 months.” And then she went, “Oh that’s interesting.” And then two days later I went, “They really are looking for a journalist for 12 months. I think I could give it a go.” And then being the supportive ___ [00:48:04] she said, “You should. This would be a good thing for you.” And so, I found myself that – how old was I then? I guess, 45 at that stage – 44 or 45. And so I thought jumping out of one career into a new one and loved this. It was built for me. I was sorry I never did it earlier and obviously I did okay at it. Jane: Well, you became editor. You can’t up that path any further, can you really? Keiran: If there was one job I love more than a journalist, it was probably editor. Anyone who read the magazine and probably read the editor’s note, one of the things that I do love about the magazine is that we’re given this sort of unfettered approach to how we talked to the public. I mean, there were very few occasions where we were told what to say and where to say it both from the islands. 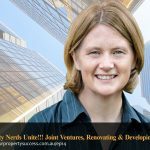 So, if you do have copies of it and you read my editor’s note, I really am that enthusiastic about the idea of community in the property field and about people being safe in investing. So, not only did I get to expound my opinions every month in the front of the magazine, I also get to control the stories and conversations. And the rules under my editorship were, tell the whole story, give up the pros and cons, don’t gloss over. And to their credit, every freelance journalist we’ve had adapted that. So, I found it a wonderful ___ [00:49:48] a wonderful resource, and you felt like you were – whether you read the magazine or not, we felt like we were at least putting some information out into ___ [00:49:56] that was balanced, independent. We weren’t told to use particular commentators or anything like that in the stories. And it was a place where I wanted to create ___ [00:50:11[ investing for some people. Jane: I had the opportunity to work with yourself on many of the journos and always very probing questions and we probably had interviews that went for a whole lot longer than the three or four sentences that made it into the film. But we had that whole background I really had that sense they’re backgrounded, and as you said, you know a lot of publishing does depend on advertising spend and almost fee for comment and thta independence of API was always one of those things where you know there wasn’t a blow your own horn, it was talking about true value they could add to the reading community, so you know it was very unique in that way I felt. Keiran: Yeah, thanks for that. To some degree, that is a little bit of its undoing. When you think about it, there is a very lucrative business to be had in selling space for content and it had to compete online. Online access for people to promote their own blogs, do things online, do podcasts, do their own newsletters or terrific ways to getting information out but people can of course get that information free now. There was a lucrative line in saying to people who have potential epitomes I’m sure many of them would’ve happily paid $20,000 to get 2 pages in our magazine. They went off the back because that wasn’t how things were done and it did get to a stage, we did have a sponsor. We avoided sponsored content for as much as possible, but if it came to the point where you needed to get the advertising revenue in, then there might have been sponsored pages on there, but my argument was always ___ [00:51:57] accepted is that this needs to be tightened. It needs to say sponsor. There needs to be obvious advert, that people aren’t going to confuse this a freelancer’s or a journalist’s story. Jane: Doing the pros and cons of the story rather than maybe one side. Jane: I guess that – you know you talk about so much information. I know when I started investing, we were pulling out the Mil-Ways, trying to get to the property where we were going to go to, now everything is Google Maps. Actually my car now talks to me and tells me where to go. It’s insane but there is so much information and is there a future for printed magazines, do you think? And also, how do people find the right information? How can they actually work out who is giving the independent information to them? Keiran: I think that I think there is some sort of future for printed magazines. It’s just not as lucrative as it used to be. And it seems that the idea here is — in these specialist niche areas like API operated, the way that actually I operated, there is certainly the ability for it to be viable but it probably needs to rethink itself because not so many years ago it was the ___ [00:53:14] in town. And so, you know, that’s a very profitable business but the evolution has been so fast and so quick into online. it’s hard to keep up sometimes, the head spins. Look, I think the key is to find out who’s writing the article and what their angle might be. We used to have commentators in our magazines. We would seek commentary from all sorts of people, as you said, journos would seek commentary from you and I think there is plenty of good information out there but I think that readers need to also seek out those articles and commentaries that involve multiple sources. And I love a story with ___ [00:53:57]. There should be a little bit of ___ [00:54:02] It’s all rainbows and lollipops, then I’m asking questions straight away. Jane: If it sounds too good to be true. Keiran: Yeah, exactly. If John Smith, I don’t think there’s a John Smith out there, so I think might catch. If John Smith marketers and buyers agency is putting out a great big story about how wonderful this suburb beyond the stump is, but you know that they’ve probably got a hand in selling property in that location. If they haven’t got a little bit of ___ [00:54:35] and a little bit of reasoned argument as to why you should or shouldn’t buy – and you’ve seen this Jane. The key is sometimes even – the key is also what suits the buyer. I mean, not every property suits every buyer. So, to make that broad assumption that everyone should get a piece of this area is just quite plainly wrong. Jane: Yeah, everyone’s buying criteria is different, isn’t it? Keiran: That’s exactly right. So, take it with a grain of salt. If you’re trying to consume a lot of information, a lot of it is good because some of it’s dangerous. Sp, look for well-reasoned arguments to see if that investment is going to suit you. Jane: Well, I have to say I was pretty excited about the article that we discussed and you were going to publish for January 2017. One day we’re writing an article, the next day we weren’t. Keiran: Yeah, that’s right. I mean, we were actually having the discussion and the ___ [00:55:33 ] November walked in and the owner took me aside and basically said, “Look, we’re going to actually close the doors this afternoon.” Basically, come the first of December we were all out of work. Now, the process with what is going into liquidation now is being advertised ___ [00:55:52 ] assets are being advertised for sale and I think there is value in those assets. The prices have to play out and ___ [00:56:02] credit, he tried to keep editorial away from advertising and there wasn’t a great deal of pressure on me as an editor to compromise our guidelines to either appease advertisers or to – there was no pressure that compromised my guidelines, and as I said, that might’ve been a bit of the undoing of it. I guess the key to that is that I don’t have intimate knowledge of what was happening behind the scenes as part of the running of the magazine, you know, costs and income, where that’s going, etc., and more of that is going to come to hand, but it was really a very sudden thing. As you know Jane, you’re going to be on the cover that what was going to be one of my most magnificent design. Keiran: No magazine, no ___ [00:57:38] I don’t know if we had to get a copyright from the Brady Bunch for it but I was probably going to plough on regardless. Jane: Absolutely. It could’ve been that final throw. Jane: Don’t send it to him, send them to me and I’ll post them up on his page. “Hey, Pete! Look at what I found!” The article that was around that cover was predictions for 2017 and I was pretty excited about sharing mine but I was really keen to hear what others thought too. You tell me, what kind of big changes are you seeing in the property market in the next year and threes. Keiran: Look, I can give you my opinion because I never got to read the story believe it or not. The submission hadn’t come in by the time I was told to pack my briefcase. You know, the other thing that happened to Jane since the magazine closed up, I’ve taken a bit of a time off which has given me a certain clarity to stand outside of the day-to-day operation of the property market and how to think about it in a big picture since. I think there are some risks over the next the next 12 months as far as interest rates. Interest rate movements, there’s just going to be a percentage of people who aren’t factoring into that borrowing and you probably have more insight that me on that given what you do. But to that extent, I have an insatiable faith in the Australian property that is well researched and well bought. I think people have been stung enough from things like the mining boom, that they can at least be a little bit cautious about where they buy. I’m not saying regionals aren’t a good place to buy but maybe we’re looking for more multiindustry towns where there’s a broader employment base. 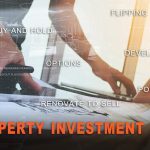 I think that Sydney has certainly had a very hot run and it’s starting to temper a little bit but it is our international city, so you’ve got to think that if you’re buying the right sort of property there once again for the long term and meeting the fundamentals you’re going to be okay. Brisbane ___ [01:00:03] picked up in the last 45 minutes or so and I have a little faith in the Brisbane market. There is no doubt about it. We tend to be a really forgiving market for people who buy appropriately. We’re not build house, it’s not a case that anything’s going backwards in a great hurry, I’d like to see a bit more employment. I think that when you were talking about the affordability wave, that move from Sydney, to Melbourne, to Brisbane that often happens, the really strong movements in Brisbane have always come from high interstate migration numbers. That interstate migration tends to come with employment. We haven’t seen those sorts of numbers until we did back in ’07 and ’03. It doesn’t look that’s going to happen again in 2017 where we’re going to see big employers and large numbers migration. But I would put to you that there isn’t any cause for great concern about Brisbane, so if you are a long term investor, I would think that Brisbane is as safe a market as any to get into and certainly a very affordable market to be in. Perth may be a different animal. Jane: Absolutely. I’m just thinking off the top off my head here, but I reckon there’d be a bit of interest if we jumped online and threw open the lines one day to people who want to hear a bit more about Brisbane suburbs. I’m sure you could give a bit of an insight into quite a few of them having valued most of them, I can imagine, living there. So, if you’re up to it, I reckon we do that. We’d go straight to the source. Jane: I thought it was Jane and Keiran have a chat. Keiran: If I can be of any assistance, I will be there. Jane: Now, tell me, API Magazine, I’m really interested, before we finish up just getting some understanding about what you learnt during that period of time and I’m really keen, what did you find over those years when you were editor but also a journo and being instructed on stories that were to be written. What were people most interested in? What were the things that really rocked people boats? Keiran: I think that it was a diverse readership. So, the things that people were most interested in – I mean, people always really liked the hotspots so it is called. I didn’t mind the idea of trying to pick areas that had potential to grow. We used to cover that in state stories. But once again, I always thought it was important to try and pro and con that whether it was being driven by changes in town playing, gentrification, whatever it might be to really drill down into those things and get knowledgeable. There was a lot of interest – I’m going to say, one of the biggest selling styles of stories was always the strategy. That approach from becoming retire on $100,000 a year, how do I get there? Now, while that makes for a good headline and certainly a very saleable cover, the key was always to make sure you spoke to a good diversity of property commentaries, where you were actually in the last we did of those Jane, and try and help people map out a strategy and a headspace for achieving goals long term, how to set a goal and have a plan to get there. I think that most investors were keen to hear about that. We had a lot of interest from first time investors and sometimes investors who bought one property couldn’t graduate into the second. So, we tried to gear a lot of stories around those as well – how to kick off, the real basics. And then at the other end of the spectrum, we had a lot of people who were saying, “You know, I’ve actually got five investment properties and I’m thinking about doing commercial. We’re having a go at small development” or “having a go at renovation as part of it.” So, we tended to make sure that we try to address some element of that in every magazine as well. When you look back ____ [01:04:08] there are a lot of people who want to invest in property and some start early, some start late, but most of them are pretty passionate about the industry. And I just think the key is making sure they’re well-informed, they stay safe, they look long term, and you know what, you’re going to be ahead of the game at the end of the day because when you look at the percentage of people who invest in property or have multiple properties, there isn’t that many compared to the Australian population, so if you’re into property, you’re part of it’s a broad church but it’s probably got a few participants than you think. Jane: I find it surprising that there was like 14,000 that had over 7 properties. I’m like, “How could I already be on one 14,000 people?” Like, everyone’s talking about property, and you said, it’s hard to graduate sometimes from that first or even thinking about buying your first property to actually putting the pedal down and pedal to the metal and making it happen isn’t it? Keiran: Yeah, that’s absolutely right. I mean, if we all turned up to a great ___ [01:05:18] wouldn’t it with the 14,000. And I think that we have a lot of correspondence from people in the investment community which was ___ [01:05:30] I’ve hit a roadblock, how do I get part of it. Part of it was psychology and part of it was finance and part of it was identifying the next place to invest, and all of those made some stories in the magazine. Jane: So, tell me your most memorable article. What’s the one that you’re most proud of and one that struck you the most? Keiran: I loved the young gun stories that we used to do. The criteria is they had to be in their 20s and they had to have a minimum of 3 properties. I ran across one young bloke called Triston Vonsierkovsky. You can say how he struck me because I remember his name. Jane: I was going to say. I’m not going to ask you to spell it. Keiran: No. I couldn’t do it but Tristan, I always Tristan. Tristan was one was one of those guys who had been dealt with some fairly hard knocks early on to the point that he was effectively a foster kid and his foster mom had this work ethic that was just extraordinary and then Tristan was saying to me she was she was in her late 80s and she was still working the farm every day and she managed to instil in this guy who could’ve just gone so far off the rails. I mean, he had all the potential of not being with us and the work ethic of this guy was extraordinary. He worked two jobs, a day and night shift for a couple of years to get his first deposit. And then got the property, and then started planning the next one. Now, looking at Tristan, not so long ago – he was actually either our last cover story or second last cover story, he’s now a property valuer at Herrod Todd White. Jane: Oh my gosh. There you go. Keiran: And he’s building a portfolio that would make anyone proud. And that was one of those stories where, I did the interview – and the other thing that struck me about Tristan is that he was very humble about what he had achieved. He had achieved something that many of us might have failed at. He pulled himself up by the bootstraps and took himself forward. And he was exemplary at what good investment is all about, ___ [01:07:46] good analysis, go forward, trust yourself. And he’s got such a bright future, I can’t wait to read about him and be ___ [01:07:53 ] at some stage. Jane: Fabulous. I have to track him down. We might have to get him on this call. Jane: I guess that kind of brings us to – looking forward, are you feeling that it is – well, you talked about the long term and the long term play and as long as you play safe and look to the research and understand your investment, are you positive about the market going forward? Keiran: Yeah. I am generally positive about what real estate can do going forward. I mean, they can be seismic events as well know. Things can happen that none of us can foresee and it can be dangerous. But really, as a long term investment class there’s been fewer safe investments even if it’s just a matter of enforced saving for people. It creates a regime where they have to pay off a home. They have to put money away and they have to think about their future. So, we sat in the back pocket and realising that we all made need somewhere to live. I remain bullish about property, and you know, maybe 2017 isn’t going to be the most sterling year, maybe ’18, maybe ’19 won’t be, but there is going to be a time when you will look back in 10 or 12 years time after making a purchase and go “Gee, I’m glad I did that. I really am.” I just think that that’s how it works with Australian property. Jane: Well, I have to say we’re pretty happy that you’re dad pushed you down the valuation way and your wife picked you up and took you into investing and that you could take all that learning and share it with us through API Magazine, one that’s missed, but may be back, who knows. And I think you know you’ve added so much value to the community at the property investing community, so I really appreciate you sharing that journey with us not just today on the podcast, but also over the years because it’s been one that I’ve really enjoyed watching. Keiran: Thanks Jane. You’ve always been a great supporter of what I was trying to do. I certainly appreciate that too and plenty more to come. I’ve got my eye up there. I’m going to stick around, so I look forward to talking more with our community. I think it’s very exciting times ahead. Jane: How cool is Keiran, right? John: He is, isn’t he? John: Well, he was a little bit at starting than we thought on the actual investing side of things, but he has spent long time in property, yeah. Jane: Exactly. I love the idea that you go on a career day with someone, a valuer that turned up at a posh place and have a look around and all of a sudden you’re like, “Yeah, this is the career for me.” I think that the reality is as a lot more hard work. But, ____ [01:10:54] his best investment is his investment in his wife and all her knowledge and family’s knowledge in real estate and what she bought to the table and gave him a bit of a push along to get into real estate. John: Yeah, sounds it, but he’s certainly made up for lost time. John: Comes up every episode. Jane: Doesn’t it? It’s just like those people who go and do – Keiran said at one stage something about people are promising rainbows and lollipops. He was like, “Don’t believe them. Don’t trust them.” But so often, we see people fall for that. Buy a good property in a good area and hold it for the long term and all of the research and obviously someone like a valuer like himself has all that research at his fingertips. John: Yeah. He’s gone through so many properties which you just think going through 12 properties a day, you just must become sick in nature. John: ___ [01:11:50} what’s affecting that value in the suburbs, so they have such a good feel for it. 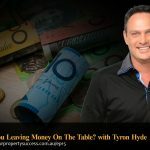 Jane: And I think the other thing is if we are looking into a suburb, we look at a suburb we might see 15 to 20 sales a month, but what really struck me was he was saying that 4 out of every 5 valuations are for refinance purposes. John: Yeah, that was an excellent tip. If you’ve seen that before – so you can actually – so what he was saying is the valuer gets paid a set fee and that’s the perimeters they work to and working outside those to do a valuation for a subdivision, yes, the valuer can do that but not just on the standard fee. Jane: And I think that involves getting to the mortgage broker getting in the process from the very beginning and understanding what that property is all about and what the potential is. Most brokers wouldn’t really have a conversation around “Oh, there’s subdivision potential” or “what do you want to do with the property in the future” or the “zoning’s going to change” all those concepts is around finance at the moment. That fact that – when you’re talking to your broker and you’re clear on what your future use for a property is and if it does include subdivision and zoning and you are seeing maybe inflation or large prices or an indication that there’s just being a movement so those comparable sales haven’t come through yet, that could be associated with a rezoning, a new infrastructure announcements and subdivision potentials etc. If you think that the property is worth a bit more because of that opportunity but it’s not reflected in the immediate past sale data, then have that conversation with your broker. Let them know and you’ll have to step outside the normal valuation process the banks undertake and that normal process is, you put your loan application in and they order a valuation. You may get the opportunity as a broker to upload supporting data so the valuer could have a look at it but they’re doing that $180-$200 valuation, they’re not doing the $550-$600 valuation that doesn’t take an hour, it takes half a day. They have to go out, they have to look at what the potential rezoning subdivision opportunity is, what could be the cost benefit for that, and what could be the extra value added to it. So, you need to have that upfront because as soon as the bank gets a valuation on their books, getting that overturned or changed for whatever reason is just too hard, so you really have to get in early and make that happen. John: And to that point we also talked about what we can do as ___ [01:15:04] to put the best case forward to the valuer and he was surprisingly receptive to that, wasn’t he? It wasn’t “Stay out of it. You don’t know what you’re talking about. Don’t come to be with comparable sales.” But he said, if you’re realistic about the comparable sales you put together and you’ve got inferior properties and superior properties, certainly, they’ll take it on board and then in fact you’ve probably saved them a bit of work and it might work in your favour. So, we’ll continue to do that. John: I was going to say for people, Jane, we’ve actually got a valuer document. And if it would be okay, I can stick it in the show notes to the episode. John: Now, this is a document you can actually present, obviously, you fill it in yourself with your properties and it’s in a couple of different categories, so you’ve got the inferior, the comparable and the superior properties. And then, you submit that to your valuer and that might for ___ [01:15:50] that you could use that. Jane: First of all, give it to your mortgage broker and make sure they upload it, so it goes in with the valuation request. The other thing is, you can make yourself the contact for the valuer, so you make the valuer there on site and give it to them, or if you’re real estate agent is going to be the contact for the valuer, give it to the real estate agent and ask them to present it to them. Just get it in their hands. It’s the important thing before they’ve done three quarters of the work and decided on what valuation of the property is. John: Yeah, that’s right. Better to get it in early. You can find that at yourpropertysuccess.com.au/ep10, so forward slash E-P and the number ten. Jane: Yeah, that’s great. But you know, what I love about Keiran’s story, is that it all comes down to doing a lot of research and what did he say, he’s got an insatiable faith in well-researched and well-bought Australian property. John: Yup. Well-researched and well-bought being the important ___ [01:16:48] here. Jane: Exactly. He is someone who had only had all of those years as a valuer and then a commentator for the valuers in the Herrod Todd White newsletter and I’ve just always enjoyed reading those and the fact that they’ve got thousands of valuations going on every month, that newsletter allows you to collate that information from all those valuers all around the country. Jane: And I mean, if you’ve got no time to read a 30-page document on valuations and what’s going on in the market, just go to the back and have a look at those clocks and see where the market is because there’s just a great little snapshot of what’s happening. John: So, where were you when you heard that API died? Jane: Oh, no. I was talking to Keiran with the big plans obviously. I was pretty excited about this big Brady Bunch cove that didn’t come to pass. It has added so much value to the property investor landscape, all the information and the stories. John: And he’s a great editor too. There were great stories. Jane: Yeah, absolutely. Keiran is obviously is a great resource and I look forward to chatting to him again and seeing where his next career step takes him because I’m sure he will maintain his journalistic skills in the property. John Blackman: Yes. It’s that time again where you get the chance to test your suburb knowledge while the entire nation holds its breath. Ladies and gentlemen, it’s time to play, Suburbs Against the Clock. The rules are simple. To play, all you have to do is answer a question about 10 suburbs in the city of your choice within 20 seconds. The lucky winner of Suburbs Against the clock will win 1 year’s free access to Your Property Success Club. 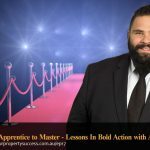 Your Property Success Club is an in-depth monthly master class which gives you the practical tools needed to grow your portfolio yourself without having to spend a fortune on expensive seminars or even leaving your own home. So, who do we have standing by to play Suburbs Against the Clock? John: Yup, you are. How are you? Yuna: Oh, finally, got in. Yuna: Good. How are you? Much better. How are you both? John: Very well thank you. Jane: Well, you got on. So tell us, whereabouts are you based? Jane: Ah, fabulous. Tell us, are you an investor or a renovator, whereabouts are you are in your property journey? Yuna: Well, I’m just starting. I have not done anything else but I listen to your podcast every day and I’m probably into saving ____ [01:19:31] so I haven’t done anything but I’m really keen to start something very soon with your knowledge I should say. Jane: Fabulous. Well, that’s great. I’m so glad you’re enjoying the podcast. We have a lot of fun putting them together, don’t we John? Yuna: I am loving it. I always sit down with a pen and paper and make notes and listen to everything anybody’s saying, forward then go back and yes it’s been fabulous. Thank you. Jane: Oh, I’m so glad you’re enjoying it. Well, you are going to be playing for Sydney I guess. Yuna: Yes I am. I’m quite nervous. John: So you’re playing for Sydney. Are you familiar with the rules? 10 suburbs in 20 seconds. Yuna: Yes, I am. Just hoping I can get at least more than 5. John: Okay, our question for you is, name 10 sydney suburbs that are harbour front. John: Ten seconds to go, 5 more. Go go go. John: Oh, sorry. ___ [01:20:42] run out. Jane: I don’t think winyard is technically is on the harbour either. I thought you’re going for train stations there for a moment. Oh Yuna, unfortunately, I can’t even push it up to ten for you but I’d like to send you one of my books, so if you could put your address into the chatbox here, I’m going to get you a book because we want to give you as much information as possible to get you to that first investment property. Yuna: Oh thank you. Oh, that’s really kind of you. Thank you. Jane: And please, keep listening to the podcast. Yuna: I will. Thank you so much Jane. John: Thanks Yuna. See yah. Yuna: Thank you. Have a lovely day. Jane: Maybe the only suburb quiz in Australia or you have an idea for a question that we could ask, we’re always looking for new ideas. I think we’re running out of them. John: Yeah, just contact support@yourpropertysuccess.com.au and use the subject line Suburbs Against Clock. Jane: Well John, that’s it for today. A huge thank you to our fabulous guest, Keiran Claire, who’ve really shown a lot of information on to the valuation process and the property market. And if you would like instant access to the transcript plus get access to some free training, we’re going to throw in that valuation template. Jane: Then, go to the show notes and have a look at the link yourpropertysuccess.com.au/ep10, that’s your property success dot com do A-U forward slash the letter E for echo, P for papa and the number ten. So, make sure you head over to that website and download the show notes, all the details and that special bonus. That’s it for today and I look forward to talking to you next time. John Blackman: Ladies and gentlemen, it’s important for you to understand that you need to take care in applying what you’ve heard on this podcast to your own personal circumstances. Every one’s situation is different. And while we go to great lengths to ensure that everything we share is accurate, the information in today’s podcast was based on personal experiences and opinions and is not intended to be specific to your circumstances. We are not real estate agents, financial planners, lawyers or accountants and are not liable for any loss, damage, or misunderstanding caused by reliance on any information provided or inferred. We highly recommend you seek out the services of a professional or mentor to help chart your own path to property success. As mentioned in the show, this is the valuation template that our students used to encourage the highest possible valuation. This template is in word format and is simply modified to suit your property. Can you please help the show?